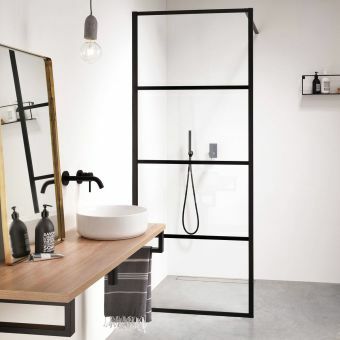 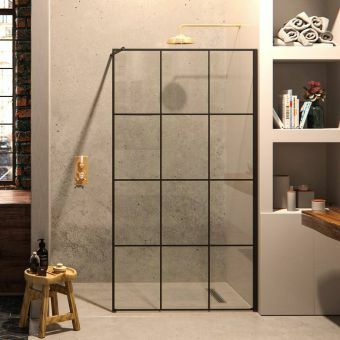 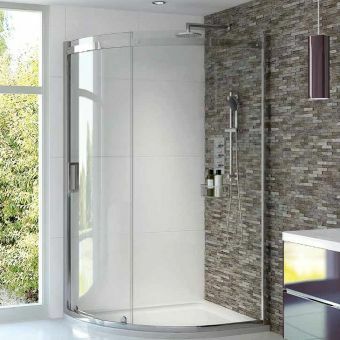 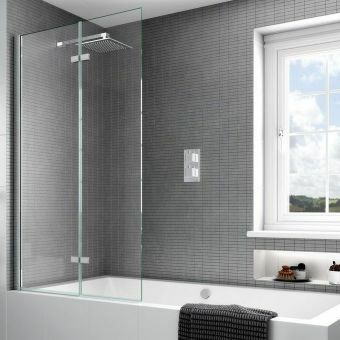 Aqata is a leading UK manufacturer of shower enclosures and constantly extends its range of showering options through creative design. 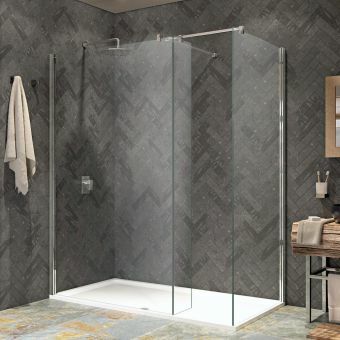 This SP415 walk-in Three-Sided Option from the frameless glass Spectra series illustrates the kind of luxurious product which the Aqata design process can achieve. 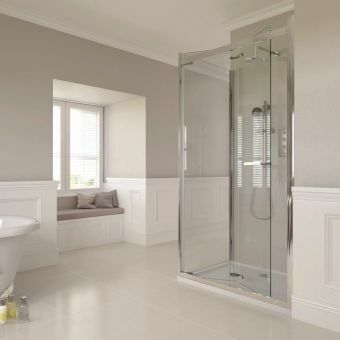 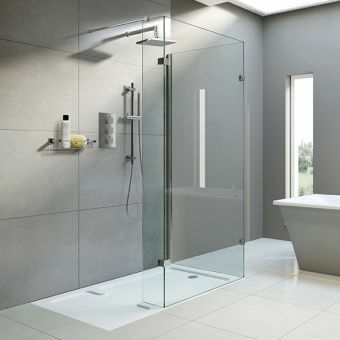 No doors interrupt the sleek lines of the clear glass panelling, which is enhanced by the polished chrome finish of the fittings and slender wall profiles. 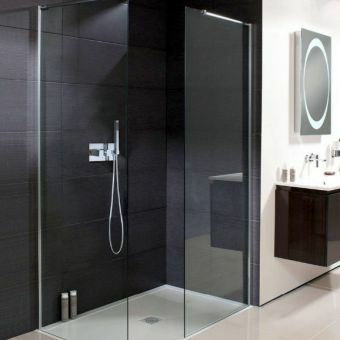 The latter have 25mm built-in adjustments and, together with Aqata's waterproof-bonding system, make installation easy. 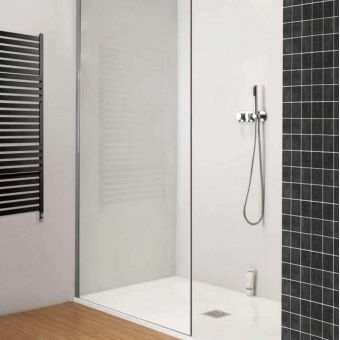 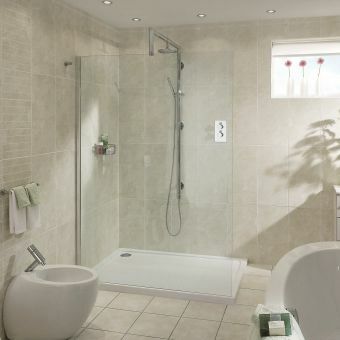 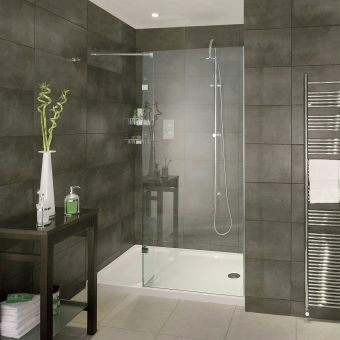 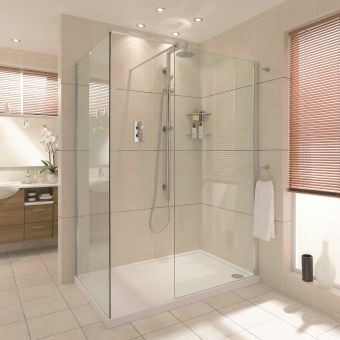 The enclosure is available in six sizes and can be used with one of Aqata's standard shower trays or fitted directly on to a wet room floor.